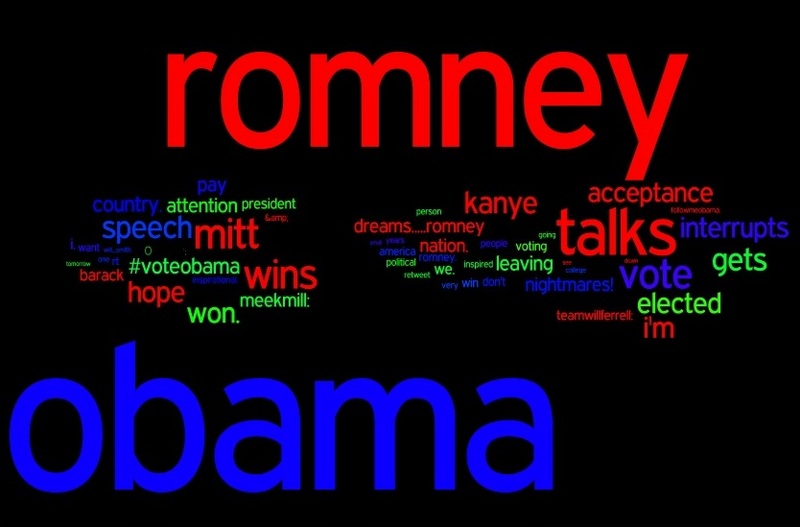 Priya Iyer processed a collection of tweets just before and after the election returns and pulled out the most frequent words. She then ran them through the wonderful Wordle program to create a visualization where size indicates frequency (color was chosen by the program, and coincidentally (?) 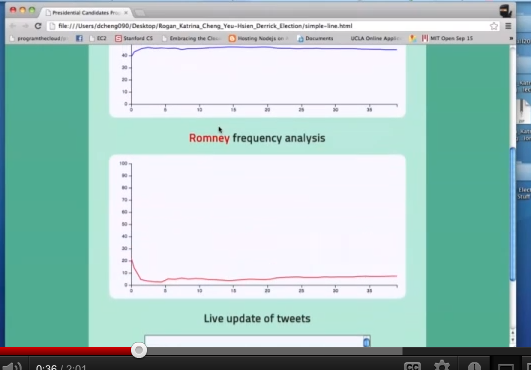 choosing blue and red for “obama” and “romney”. Below is a heatmap of the locations of people who tweeted with the hashtag #Ivoted on election day, based on their geolocation information, by the BandHype team. I think this was a great exercise, as we all learned from each other a bit more about how to get our apps online and get faster at doing our coding, which should help with the final projects.